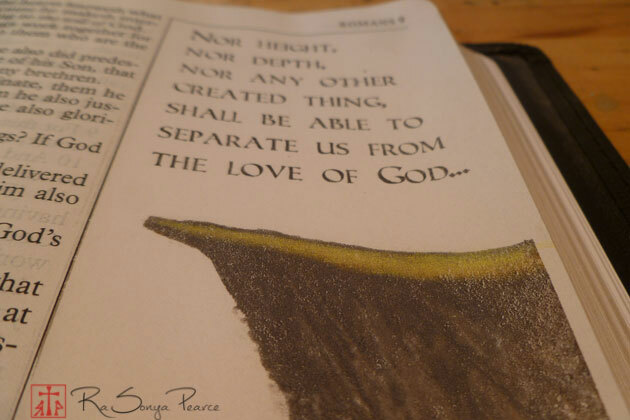 I have been wanting to try my hand at illustrated faith, or faith art journaling in a Bible, for some time now. I’ve finally jumped in with the week eleven verse for Documented Faith 2015, Romans 8:38-39. Documented Faith is an awesome challenge and Bible study by Stephanie Ackerman. Every month there is a focus word and each week centers on a different Bible verse and message related to the focus word. 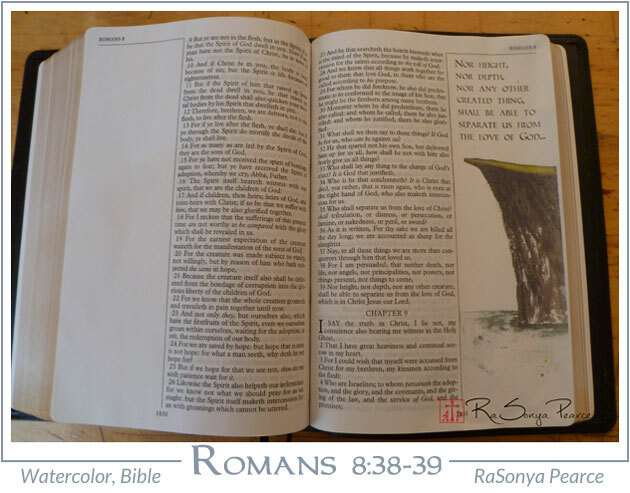 Some people use the prompts to make art journal entries along the lines of the Documented Life Project, some make art tags, while others art journal or illustrate the verse in their Bible. 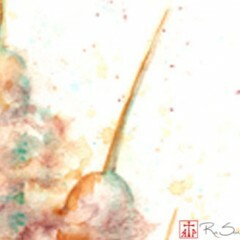 I was afraid to use my customary watercolors in my Journaling Bible because I didn’t want the water to cause the page to warp. 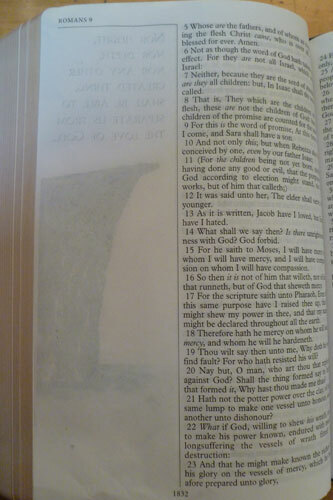 Instead, I painted the cliff on a separate piece of paper and used Sheer Heaven transfer paper and rubbing alcohol to copy the painting into my Bible. Although the transfer was a little duller than the original and a tad ‘grainy’, the alcohol dried quickly and didn’t warp the page. The image did show through faintly on the back of the page. 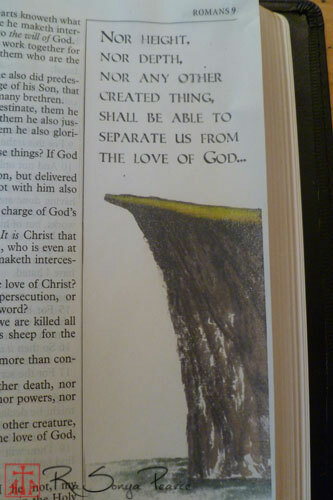 Now that I have gotten over my fear of messing up my Bible, I think this is a fun way to express my faith. I already highlight and take notes in my Bible so this just feels like one more way to interact with the Word.